Walk-Ins Welcome, No Wait Time! When you get injured or come down with an illness, your first instinct might be to go to your primary care physician for treatment. Unfortunately, primary care physicians often require appointments that must be booked days or weeks in advance. What do you do when you need care right away? Well, if you need after-hours or immediate care, then your options are limited to an urgent care or emergency room. The facility that you should choose depends on the severity of the condition. For instance, if you experience symptoms of a life or limb-threatening illness or injury, then you should call 911 or go to your nearest ER. Emergency rooms are equipped to treat the most serious illnesses and injuries, including major trauma, stroke, cardiac events, and other medical or psychiatric emergencies. Some conditions, such as acute appendicitis, may require surgical treatment that can only be done in an emergency or inpatient setting. As for urgent care facilities, these are reserved for treating minor injuries and non-life threatening illnesses. People who have small cuts, sprained ankles, migraines, sore throats, upper respiratory symptoms, or other non-emergent illnesses can benefit from visiting an urgent care rather than an ER. Compared to your PCP’s office, many urgent care facilities offer expanded services and rapid access to doctors when you need it. Some urgent care facilities even offer on-site laboratory testing and diagnostic imaging. Sometimes people with non-life threatening illnesses or injuries choose to go to the emergency room rather than an urgent care. Although you should never hesitate to be seen at the emergency room if you feel like you need it, you will often wait longer and pay more than if you had presented to an urgent care for the same symptoms. Before making the choice of where to be seen, you should consider both the severity of your symptoms and your medical history to determine whether or not your condition warrants urgent or emergent care. Some insurance groups, health groups, and universities offer their members a phone-triage service where you can speak to a nurse to help you decide where to be seen. The bottom line is that many conditions are appropriate for urgent care, while some require the resources of an emergency room. Knowing the difference can save you time, money, and offer the most effective healthcare for your specific condition. 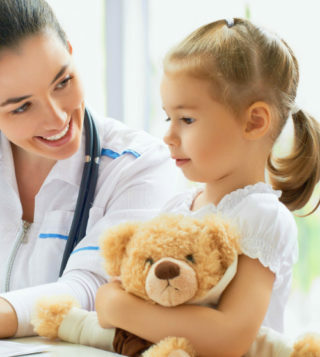 Pediatric urgent care services are designed for children and minors of all ages, from infants to adolescents. 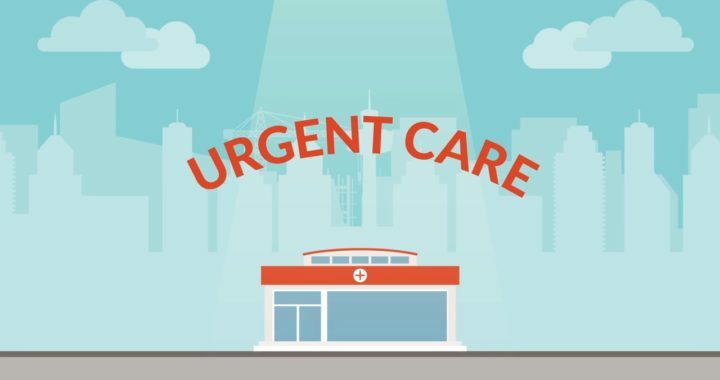 Urgent care is not to be confused with emergency care, which requires a visit to the emergency department of a local hospital. In general, urgent care facilities are designed for illnesses and injuries that are not necessarily life threatening, but require attention. Most urgent care facilities do not require an appointment, either. If you are looking for the best pediatric urgent care in San Diego, Urgent Care La Jolla is here for you! For example, let’s say your child fell outside and broke his or her arm. Although usually not life threatening, a broken bone requires immediate attention to minimize pain and ensure that the bone heals properly. Although you and your child may have a relationship with your primary pediatrician, it can be difficult getting same-day appointments even for urgent illnesses and injuries. 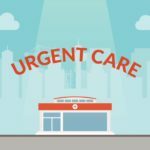 Many insurance providers offer urgent care benefits along with those commonly offered for emergency care. That why urgent care centers come in handy. All urgent care providers have their own rules about the seriousness of the conditions they will treat for children and adults alike. Some symptoms are indicative of serious illnesses that should warrant a trip to the emergency room. In cases of common illnesses and injuries, however, most patients would benefit by going to an urgent care facility that offers effective care for much cheaper and a much shorter wait time. 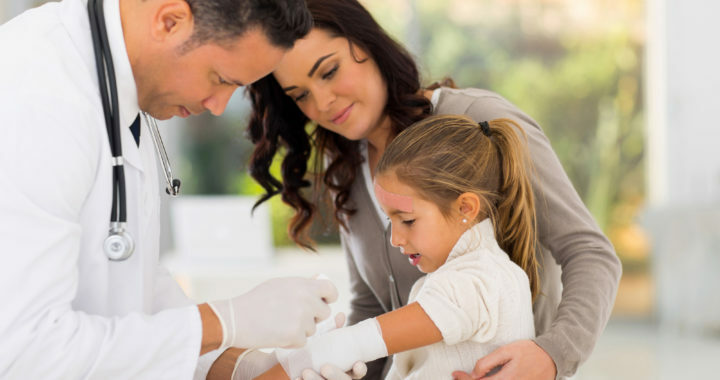 Some common health conditions that urgent care providers treat include minor burns, fevers, infections, allergic reactions, insect stings, animal bites, chicken pox, pink eye, rashes, sunburns, sports injuries, and splinter removals. Most urgent care facilities can send patients for imaging and labs, while others even offer minor surgical procedures such as mole and wart removals. Pediatric urgent care services are becoming more common in modern times. This is largely due to the health of children being taken more seriously by the public. It also has to do with the fact that there are fewer pediatricians who run private practices. Pediatricians find it more beneficial for themselves and the children they treat to provide urgent care services instead of regular doctor’s appointments. The upside is that children can be treated quickly for most medical problems that they are facing. The downside is that seeing different providers can remove the interpersonal relationship between the child, parent, and doctor. Most insurance providers will provide you a list of in-network urgent care facilities. These are the facilities where you must take your child to use your insurance benefits. The downside to these urgent care facilities, relative to those that do not accept insurance as payment, is that the wait times can be longer, especially during times such as weekends and holidays where most primary pediatrician practices are closed. If you are looking for a pediatric urgent care, schedule an appointment with us today! Have a dog? Walk him or her at least twice per day. Love the outdoors? Begin hiking some easy trails in your area. Love the beach? Take a brisk walk through the sand! Are you an extrovert? Many gyms include daily classes, ranging from swimming to cycling to boxing, as a part of your membership fee. Are you an introvert? Put on your headphones and focus on yourself for the duration of your workout. When you are physically active, you will lose weight and keep it off. As we age, our bodies tend to require less energy input per day. This is known as the basal metabolic rate, which is the amount of energy measured in dietary calories that your body needs to function at rest. This decrease in required metabolic input can lead to weight gain as your body, at rest, uses less of the calories that you consume. Regardless of its effects on basal metabolic rate, exercise increases your calorie needs for the day, which will help you lose weight in addition to conscious eating. Studies have shown that exercise can improve your immune system, your digestion, your blood pressure, and provide other physiological benefits that will help you feel healthier and more energized. Exercise has also proven to lower your risk of Alzheimer’s, heart disease, osteoporosis, diabetes, and possibly certain cancers. Exercise can help improve your flexibility, increase your strength, improve your posture, coordination, and balance — all while lowering your risk of falling. Exercise has several markedly significant effects on your mental health. It increases the production of endorphins in your brain — the hormones that regulate many physiological functions — while inducing a feeling of relaxation and reduced stress. Long term exercise can improve your mood as well as your sleep! When you stay physically active, you will enjoy a better quality of sleep including sleeping more soundly. A good night’s sleep will allow you to wake up feeling more refreshed and full of energy. Sleep is critical for maintaining your health, increasing your alertness, and enjoying your life more fully. 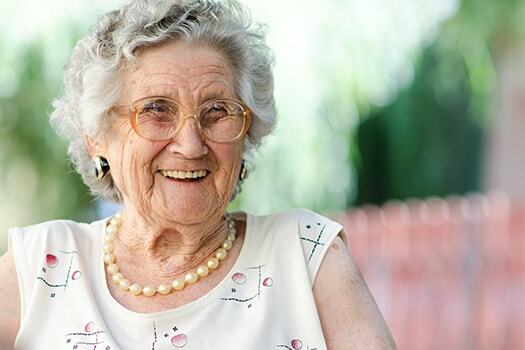 Research suggests that maintaining an active lifestyle — both physically and mentally — can reduce your risk of memory disorders such as Alzheimer’s. While it is imperative that you exercise your brain through challenging yourself intellectually, it is also crucial that you exercise your body. Studies show that people who are physically active are less likely to develop debilitating memory disorders. Although more research is needed, there is a clear link between physical activity and cognitive health. 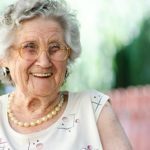 Getting into and keeping a regular exercise routine can be difficult for anyone, especially as we get older. 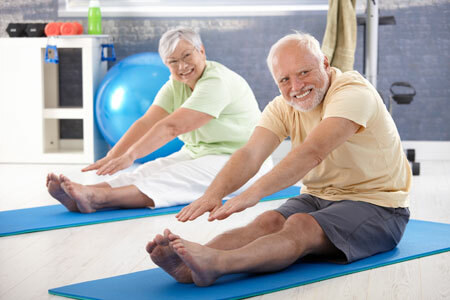 When you first start, you might worry about injuring yourself, falling, or exasperating existing aches and pains.You might believe there is no way you can enjoy exercising at your age, and, quite honestly, you might think it’s boring! Incorporating exercise into your life, however, creates a routine that you’ll soon be hesitant to quit. You and your partner might take up bicycle riding, horseback riding, swimming, or just taking brisk walks. Think about what you would like to do and do it! Starting off, your physical fitness might not be up to par for some activities but as you increase your strength and stamina, you might just find all sorts of physical activities that you love. The bottom line is, exercise can help relieve stress, reduce certain symptoms of illness and disease, increase your stamina, and reduce your risk for multi factorial illnesses. Do not think you have to get into strenuous exercising immediately — it is as simple as getting involved in activities that you enjoy, and all the while improving your health! 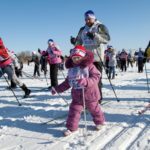 For those of you who are excited at the prospects of the many winter sports, here are some great tips to help you stay safe and enjoy yourself. Just like high-velocity summer sports, during your winter activities you should always wear a helmet. Snowboarding and skiing are 2 of the 4 highest ranking extreme sports that lead to the most head and neck injuries. Both skiing and snowboarding lead to 55% of all concussions, which is higher than a lot of other summer and winter sports. Concussions can lead to a neurological deficit and therefore it’s extremely important that you protect your head with a helmet. Along with the potential for a head injury, high-velocity sports will greatly increase mechanical stress on your muscles and joints. Adequate nutrition; a well-balanced diet, and staying hydrated. Proper stretching; warm-up your muscles before starting a sport. Always wear appropriate protective equipment and padding. Know your limits and understand when your body is close to exhaustion. Some winter sports are more intense compared to other fast-paced winter activities such as ice hockey. It can be an uncontrollable environment that the participant is placed in. Although you might take all steps including being in great physical condition and wearing the proper equipment, Mother Nature is a powerful force that should be reckoned with and respected. Always be aware of your surroundings such as the weather and environment and be prepared for it. Ensure your skin is covered properly with gloves, jackets, facemasks, and outerwear. Prevent all unnecessary exposure. If predictions are that conditions will be bad, plan accordingly and protect yourself from exposure. 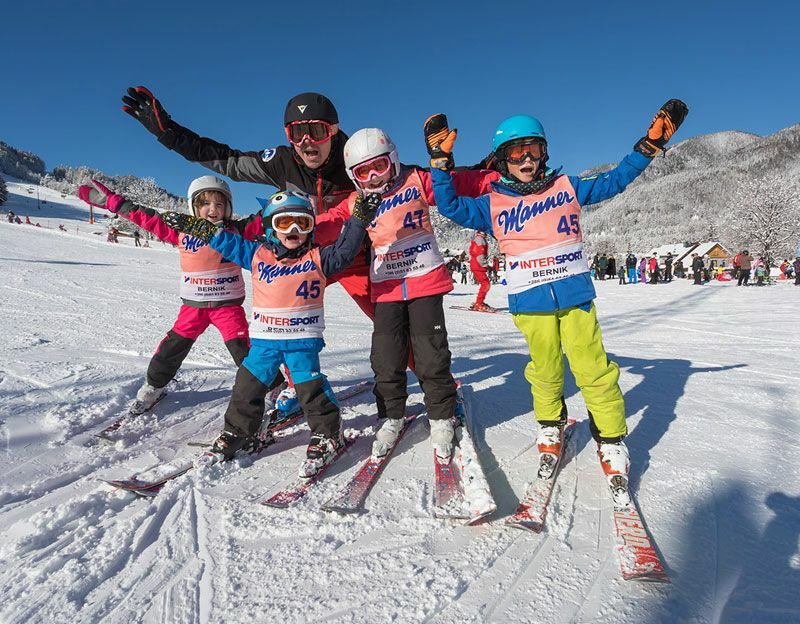 Never take part in winter sports alone! 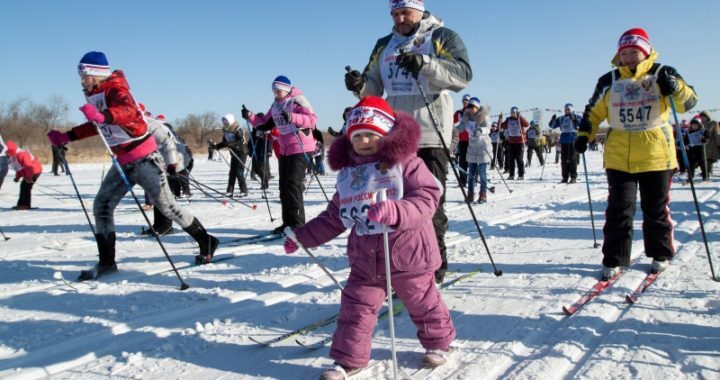 Winter activities can be exhilarating and hours worth of fun but can be very dangerous if safety measures are not being adhered to. Understand the environment and your limitations! By taking safety seriously, you will have a wonderful thrilling time in your local winter wonderland! © 2019 Urgent Care La Jolla. All Rights Reserved. We are currently upgrading and renovating our clinic!